UPDATE 11:46am – Road open with single lane alternating traffic as vehicle recovery is in progress. If you’re headed west out of town this morning, expect delays. An incident 24 km west of town is under assessment. Watch for traffic control. The next update will be at 11:30 am. Unofficially, it looks as though a transport vehicle has jack knifed on the road and lost there load. 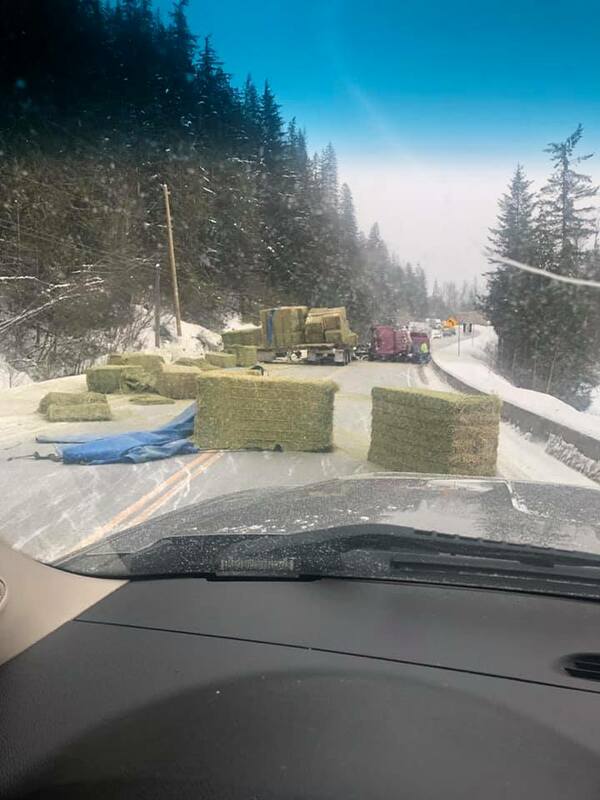 On social media, Kris Baran posted a picture of the scene that shows large hay bales strewn across the road. It is unknown if there are any injuries. Drive BC warns of slippery sections from 25 km east of Sicamous to 1 km east of West Boundary of Glacier National Park.